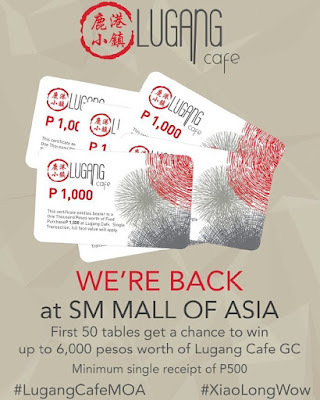 Lugang Cafe celebrates the reopening of their SM Mall of Asia branch with a Promo! 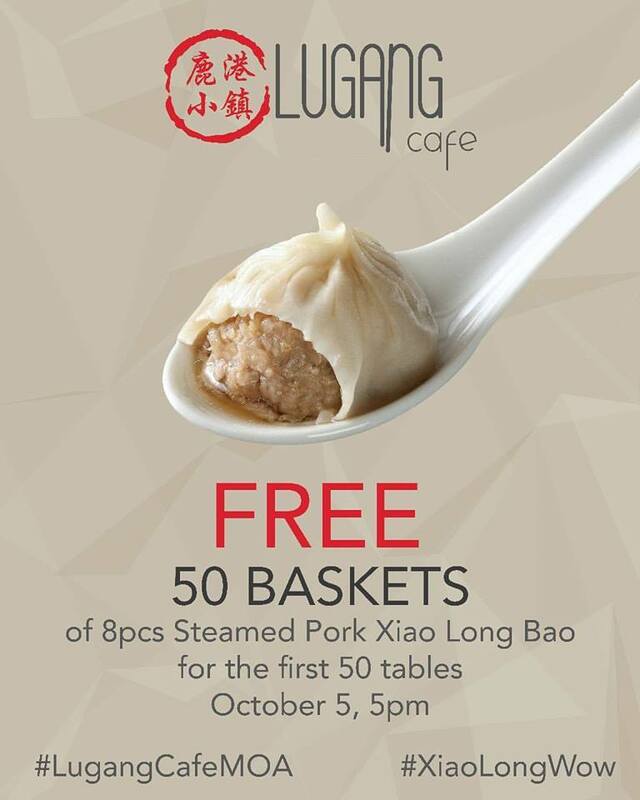 Celebrate with them as they are giving out 50 baskets of Steamed Pork Xiao Long Bao to the first 50 tables! 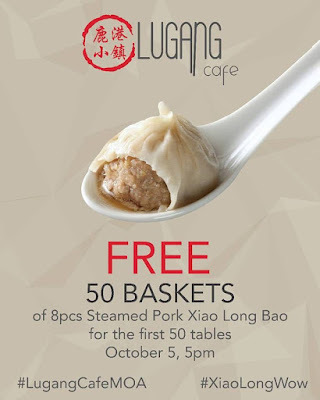 Doors open at 5pm on October 5, Thursday! Other special treats await! 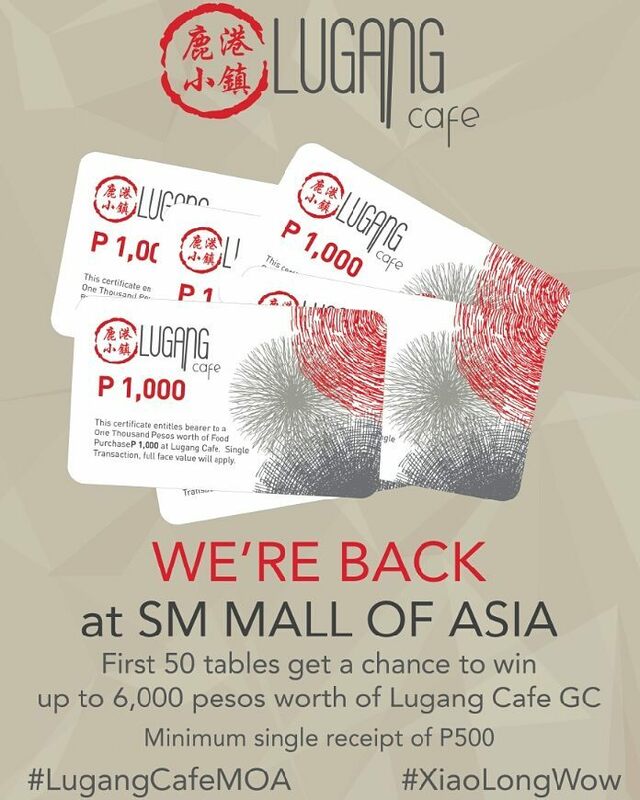 Plus...get a chance to win up to P6,000 worth of Lugang Cafe GC's with a minimum single receipt of P500!